When a person comes through our doors seeking help, collecting their mail, or receiving a hot mail, they are greeted with dignity by one of the Watchmen staff. More than just protecting our facilities, staff and guests, Ryan Marchman, CEO of Watchmen is also an integral part of the Crossroads Connect job readiness-training program. This four week program is designed to help participants locate and apply for a job, prepare for an interview and gain teamwork, time management and financial planning skills. 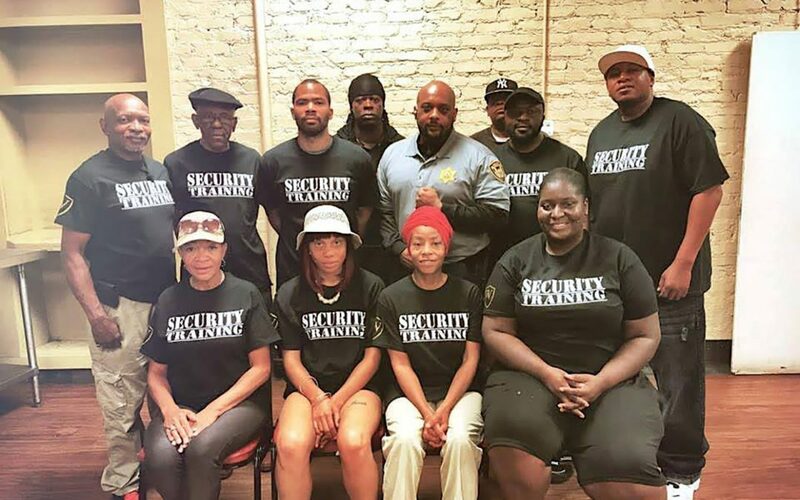 Graduates of the program have the opportunity to apply for positions at Watchmen and can become certifed, licensed, insured and bonded Security Guards. Last year, over 50 men and women joined the Watchmen Team! www.watchmenprotectiveservices.com or ryan@watchmenprotectiveservices.com or call 770-773-0642.